← Is the Four-Hymn Mass What the Church Really Wants? A choir loft is a good place to get a whole view of what is going on at Mass. In fact, it is the only place in a Church where a bird’s-eye view is possible. Of course it is mostly a bird’s-eye view of the back of people’s heads. But from my lofty position as Music Director, I do get a sense for the makeup of the various congregations that come to Mass five times each weekend. At my parish, unsurprisingly, there are people from various socio-economic classes and various ethnicities. There appears to be a fairly even distribution of men and women. 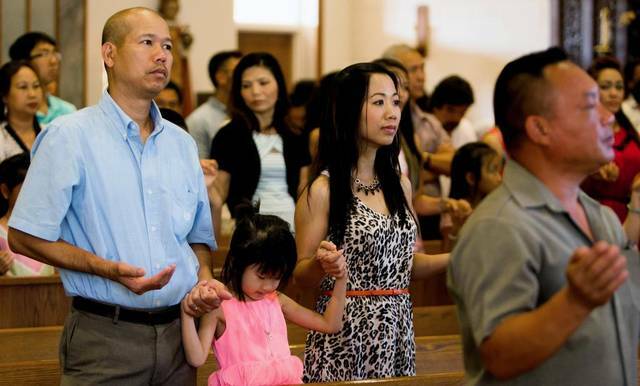 Although predominantly white and of Italian, Irish and Eastern European descent, our parish also has members who are Asian, African American, Jamaican and, undoubtedly, members of other ethicities as well. With regard to age I see both young and old in the pews, but there are, on average, an assortment of folks who are on the more mature side of life. Demography is not my strong suit, but to my parochial vision I can see that our parish is not homogenous. In the restoration and promotion of the sacred liturgy, this full and active participation by all the people is the aim to be considered before all else. Thus, as Music Director, it is my task to choose music that encourages the full and active participation by all the people. What is the Director of Music to do? What music should I choose that encourages all the people to engage in full and active participation? Now, as I have said elsewhere, my procedure in choosing music is to simply choose my favorite hymns Sunday after Sunday. Naturally, I try to make my selections as appropriate for the Mass as possible depending on the time and season and what the readings and Gospel are about. Interestingly, I find that my favorite hymns appear to be appropriate for almost every Sunday of the year. 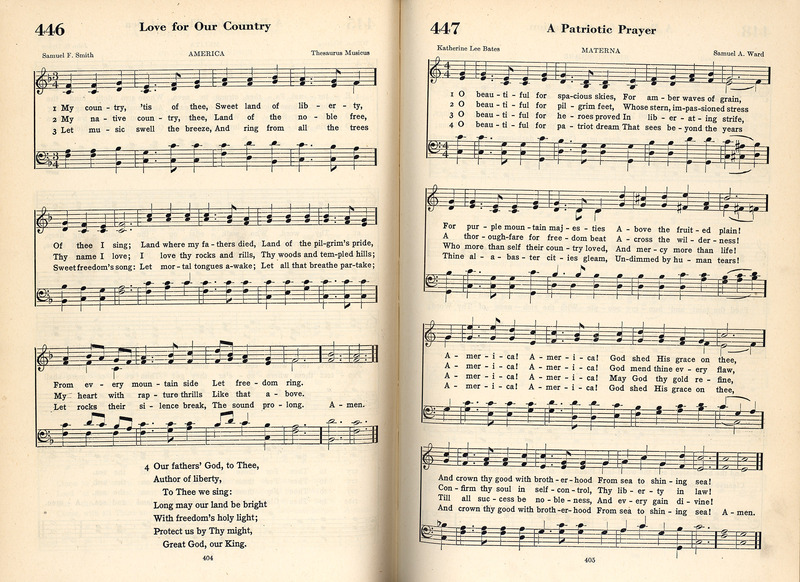 But it does strike me that the vast majority of hymns in the majority of missalettes or hymnals that are prevalent in our churches contain music that are mostly appealing to people from a specific ethnicity. Granted that most hymnals appear to make an attempt to contain a smattering of hymns designed to appeal individually to a variety of ethnic groups, there is a tacit admission that no one hymn is meant for everybody. For example, every hymnal has at least a couple of “Spirituals” (e.g. There is a Balm in Gilead and Amazing Grace), and perhaps one or two Polish, Italian, or Irish hymns. Nonetheless, it is pretty obvious to me that the bulk of the music is aimed at a white Western-European crowd. I myself gravitate to English and German protestant hymns like Holy, Holy, Holy and Now Thank We all our God. But I really can’t say how my own preferences appeal to the Hispanic or Vietnamese parishioner in the pew. For the most part, the hymns, the Mass settings, and the whole musical experience that ordinary Catholics encounter from Sunday to Sunday is not an experience that we could call universally appealing. Go Make a Difference might appeal to a young person whereas Holy God We Praise Thy Name might appeal to an older person. Lift High the Cross and A Mighty Fortress might appeal more to one, whereas You Are Mine and Shepherd Me, O God might appeal to another. I may have these all backwards, but I am certain that the person who loves Holy God is a different person than the one who loves Christ Be Our Light. Here is the obvious question: For a Church which calls itself Catholic-which is a Greek word that means universal or whole or all embracing-ought there not be a corresponding music? Ought there not be Catholic music? Given the significance of music in the Mass (i.e. music is an “integral part” or pars integrans), one would think that the Catholic church would have a music peculiar to itself. One would think the Catholic church would have a unique music that excelled in catholicity, that is, one would think that the Catholic church would be known by a music that distinguished itself by the qualities of universality and all-embracingness. Now, I am not saying that there is no place for a good ol’ fashioned hymn with a decidedly Anglo-Saxon or Germanic tilt. Nor am I saying that there is not a place for a “Spiritual” or perhaps even an Irish hymn on Saint Patrick’s Day. But shouldn’t the music at Mass be marked by a universality that characterizes the church itself? Well, as it turns out, the church does have a music that is universal. And it is universal because it belongs precisely to no one. It is a music that is written in a language that nobody speaks. It is a music written by composers that are of unknown ethnicity. It is a music that does not even appear to belong to a particular time. It is a music that belongs equally to all because it belongs to no one except to the Church and this music is called … Gregorian Chant. Gregorian Chant is the music of the church. Gregorian chant is catholic music in the literal meaning of the word. Gregorian Chant is the music that is suitable par excellence to the Mass. It is completely unique and is a music that belongs unmistakably to the Catholic Church. I think it is safe to say that Gregorian Chant is the only music that might qualify as a possible candidate for being universal. As a matter of fact, I would even assert that it is the only music that does not impose a specific national ethnicity on the one who sings it; Gregorian chant is not Celtic, it is not Italian, it is not Anglo, it is not German, it is not Eastern European. In my view, Gregorian Chant makes everyone equally comfortable (or uncomfortable) and that is because it does not belong to this or that tribe or family. It is the distinct music of the Catholic Church. Gregorian Chant is the only music that can properly (and strictly) be called Catholic music. This entry was posted in Music, Sacred Music, Sacrosanctum Consilium, The Mass and tagged Christ be Our Light, Go Make a Difference, Gregorian Chant, music, Sacroscantum Concilium. Bookmark the permalink. 18 Responses to Is There Such a Thing as Catholic Music? Hello! You might be interested in an app that my brother and I have just released. It’s called Square Note and hopes to make Gregorian Chant accessible to ordinary people. It allows you to view many (hopefully someday ALL, but right now we have all of the seasonal propers for both Novus Ordo and Extraordinary Form, some of the more important sanctoral propers, the Kyriale, and a few common chants) of the Church’s chants right on your phone or tablet. It also allows you to hear a rendering of the melody, which makes learning the chants MUCH easier. Please take a look and see if it might contribute to positive change in regard to bringing sacred music to the whole Church. And if it helps you, share it with your friends. As I was reading your column, I became more and more cynical thinking to myself, “Oh, more guff foisted upon my ears, making me want to leave this place!” How I would love music where I can’t be assaulted with inane words or heavy dirgelike music. But I continued reading. Silence or music that is truly “Catholic”. Thank you, Love the conclusion! Interesting take, thank you. However, I am not sure the best way to encourage active participation in worship is to strip it from cultural context and familiarity. I can sing chant–and do– but by and large singing in a language I do not understand puts me in a less–not more–active state almost no matter how you define the term. Perhaps the definition of catholic here is not universally applicable (or inapplicable) but in the sense of “of the whole,” in which case catholic music is music that serves Catholics in worship. We bring our gifts to worship and one of those is music. Should chant have a pride of place? Certainly. Should it be used exclusively–even predominantly–and is it, in this day and age, productive of the much-sought active participation? I am not so sure. Best left, I think, to individual communities to decide. A disability you are laboring under, and one which perhaps Mr. Langley would want to address in a future article, is the rubric of “active participation”. This phrase appears a dozen times in Sacrosanctum Consilium and every time the English word “active” is used to translate the Latin word “actuosa”. Latin actually has a word “activa” which is what one would use to translate the English word “active”. “Actuosa” is better translated “actual”. What is the difference between “actual” participation and “active” participation? It might start with the recognition that someone who is not a baptized Christian, no matter how vigorously he sings or chants and diligently stands, sits or kneels at the given times, is not able “actually” to participate, whereas one who is baptized, however inactive he may appear to be, is more actually participating, if he is there at all. By the way, Mr. Langley, I approve your wife’s name. I am not that disability at all. I am very well aware of and include that definition under my “almost any definition your name,” and my comment stands. It is, after all, my experience whether or not it is yours. 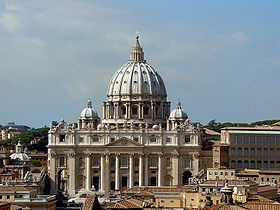 Catholic music existed before Pope Gregory. There is no question that Gregorian chant is wonderful sacred music. It certainly deserves a high place In worship if for no other reason than because of its influence. But beyond that, most of the time what we’re arguing about is preference. And that’s ok.
I’m not sure what you mean when you say that (on the one hand) Gregorian chant is wonderful sacred music and should be given “pride of place” but (on the other) we’re basically arguing about preference. This sounds like what I’ve been hearing for the past 20 years from pastors and musicians – “Yes, Vatican II said Gregorian chant is great, but you want to actually use it at mass?” Or, “Maybe we can do a little here and a little there, but not ‘too’ much.” And chant ends up being just another dish on the smorgasbord. Not exactly the “first place” (“principem locum”) that Vatican II called for. The use of Gregorian chant isn’t a “preference.” Naturally one should not start singing mass with all the proper chants without preparing a congregation. But this should be the ideal to strive for. Otherwise we’re just giving lip service to what the Church wants. I think I understand what you are getting at, and please understand that I am not disparaging chant. One look at my playlists would prove that. But I get the perception from discussions like these (please help me understand differently if I am wrong) that the goal is to impose chant on all worship and eradicate any kind of variability–and that if, for whatever reasons, my worship is impeded by the use of Latin chant I in my worship am somehow defective or inferior. There is a broad distance between anarchy and absolute uniformity, and we tend–I included–to react against that which hits us in the most fearful spot. Ours are different spots, not surprising. It’s interesting to me that last week we heard the exchange between Jesus and the Samaritan woman, part of which had to do with proper worship. At least one legitimate interpretation of that exchange is not to worry so much about the externals of worship (mountain or temple) as it is to pay attention to how it changes you–the internals. If your parish provides an ample exposure to Gregorian chant and another does not–why do you care, so long as the mass is celebrated and the people of G-d serve Him and each other as they are meant to? G-d seems to enjoy variety. He created a good deal of it. If your parish does not provide chant as you would like, I sympathize. Tough spot. Been there, on both sides. Thanks for interesting discussion. I think the point of the article is that personal preference is not ok. Or, more to the point, the Church herself has a preference, and if our preference differs from hers, it is because of a defect in our preferences. I’m quite sure your participation is not hindered by “singing in a language [you] do not understand.” You don’t “understand” Latin; do you understand the Gloria? You don’t understand Latin; do you understand the Tantum Ergo? Do you understand the Entrance Antiphon when it’s chanted in Latin? I’m sure you do, especially if you came to Mass prepared actively to participate. I wish I knew which parish you are talking about, where the exclusive, or even predominate use of chant threatens active participation. I would move there in a second! I have found that where there are options for individuals to decide, the easier/lesser one is always chosen. (Think casual Fridays – who wears a suit on Fridays when a golf shirt will do?) Then, if it is a matter of individual choice, and few will choose the harder way of chant, we are right back to where we started, with a fragmented populace. (And, not that my experience counts for more than yours, but I find that having to translate *and* sing or listen makes me much more actively involved than singing or listening in my native language. The same, too, with familiarity. Chant, with repeated use, does, in fact, become familiar. It also forms my cultural identity and imagination as a Catholic. But then, my or your experience isn’t what determines Catholic worship, is it?) I think the corporate world and Hollywood ‘gets’ this much better than we Catholics. When Hollywood does Catholic, it’s always chant or polyphony. And the corporate world, too, does a great job of forming ‘brand identity” – (Chipotle always looks and sounds like a Chipotle, etc) If this is true on a natural level, how much more for the Church? How can you form a Catholic identity if every different person gets his own way? Please don’t misquote me. I said nothing of the sort regarding my parish. I did not say it was your parish, I merely wish to know in which parish this danger exists. I know of not one. If you do, please tell me. I will move there at once. I wonder what SC meant, then, when it said that active participation is the goal *and* Gregorian Chant is to be given pride of place. Perhaps they were unaware that it was not everyone’s preference to sing chant? It should be borne in mind that in the liturgy we are participating in a mystery – an event and action that we cannot fully comprehend. Of course this does not mean that we shouldn’t know what is going on, but knowing what is going on cannot be reduced to comprehending the meaning of the words that are being sung or heard at a particular time. In fact, the constant words amplified through a sound system can actually be a hindrance to participation. If you read what the Saints before Vatican II had to say about what active participation in the Mass looks like, you will find it isn’t a banter of verses and responses, nor gestures, nor understanding each and every word, nor even singing along. It was meditating deeply on the mystery as it unfolds at the altar, offering ourselves with Christ at Calvary, adoring Him present in the Eucharist, and receiving Him with great humility, reverence and gratitude. Somewhere this phrase active participation ended up hijacked and used to mean doing stuff external stuff. Nothing wrong with that, but it’s the interior participation that is more important. Now which assists us in praying, adoring, and receiving in humility, reverence, and gratitude? The prayerful, quiet, mysterious sound Gregoria’s chant? Or the lastest folk hymn ripped off from last decade’s pop music from a not even Catholic composer writing music for OCP? Does anyone know of a nationality of music where the downbeats are unevenly spaced like in chant? I am fascinated by the claim that chant is the music no nation can claim, and which makes all nationalities equally comfortable of uncomfortable, but I have not heard the point argued vary seriously. Has anyone written about this?